Industry consensus holds that Apple's so-called "iWatch" will see manufacture in September ahead of wide distribution in December, but one well-connected analyst believes mass production is to be pushed back to November, meaning only small quantities will be available at launch. In a research note obtained by AppleInsider, KGI analyst Ming-Chi Kuo says the iWatch represents a new level of difficulty for Apple in regard to both hardware and software development. Because of the new challenges, Kuo believes current consensus on Apple's iWatch production and distribution schedule is incorrect. Kuo estimates Apple will push back mass production to mid- or late-November, one month later than previous models claiming large-scale manufacturing would start in late-September. 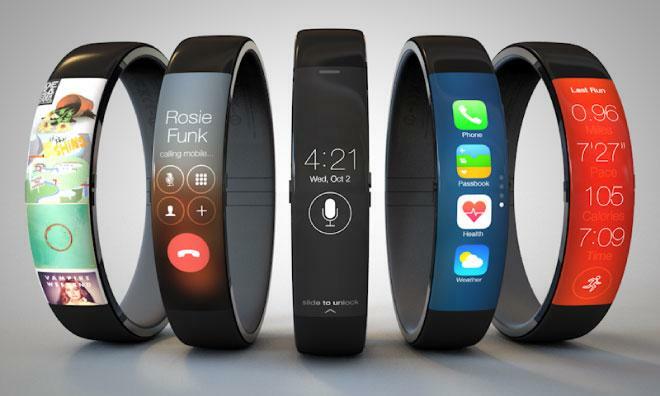 With only a few supplier ramping up ahead of an anticipated October release, supplies of the wearable will be constrained and are unlikely to meet market expectations of 10 million shipped units by the end of 2014. Instead, Kuo says about 3 million iWatches will be in the wild by year's end. On the hardware side of things, the analyst notes Apple is deviating from its normal component cache to more advanced —and difficult to manufacture —parts and materials. For example, the iWatch is thought to sport a flexible AMOLED display complete with sapphire cover glass. Apple has never deployed an OLED display in a consumer product, nor has the company fielded a product with such a large sapphire glass installation. So far, the largest sapphire part in any iOS device has been the protective Touch ID covering seen on the iPhone 5s. Recent rumors claim the iWatch will use a "slightly rectangular" 2.5-inch display. In addition, new system-in-package (SiP) processes will be used to shrink down operational circuitry to wristwatch sizes, which complicates matters since Apple is looking to meet high waterproofing standards. Not mentioned in the report are other rumored features like wireless charging that could add to the device's already complicated build. As for software, Kuo believes the main challenge is redesigning iOS to fit on a smaller screen while maintaining interoperability with larger devices like the iPhone and iPad. Apple is well known for its stellar hardware and software vertical, though iWatch UI refinement could present a problem as the form factor is completely new and doesn't have the benefit of being on the market for years. Update: An earlier version of this report incorrectly stated Apple's iWatch would debut in October, not the actual estimation of December. The article has been updated to reflect the correct information.